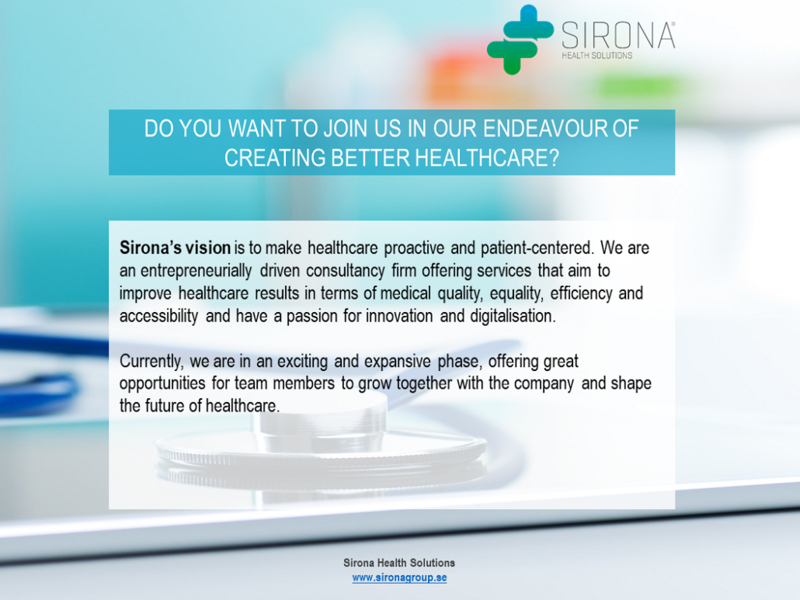 Sirona Health Solutions is a Scandinavian leader in healthcare analytics and advisory services. Our vision is to create better health and quality-oriented tools for health, medical and social services sectors. We create value for patients, caregivers and society through our expertise within analysis, advisory services and preventive health solutions and our passion for innovation. Our team consists of around 30 management consultants, healthcare professionals, economists, engineers, scientists, IT experts and analysts. Our different skills and backgrounds allow us to see problems – and possible solutions – with different eyes.